It Doesn’t Have to be a Custody Battle - Jon S. Henricksen, P.C.Jon S. Henricksen, P.C. With all of the television shows and movies that have story lines about custody battles you’d think there was no other way to work things out than to fight about them. If you factor in how many horrific custody disputes there are in the news you might feel under water before you even begin the process. It doesn’t have to be that way. It shouldn’t be that way. We are here to help you through the process to get to the best outcome for you and your children. You and your partner love your children. Probably more than life itself. So the first thing you want to be aware of is not to drag them into this. Don’t speak ill of each other or each other’s families in front of them. Don’t say things to each other you wouldn’t want repeated in a court of law. There is a possibility that you are being recorded without knowing it, and those tapes may wind up in court. Treat each other with respect and at all times make the safety and well-being of your children your number one priority. Oregon custody law has two forms of custody. The first is legal custody which provides a parent or parents with the ability to make decisions regarding the child’s upbringing. This includes decisions regarding medical care and education. The other is physical custody. This refers to which parent the child lives with. The parent who has physical custody of the child is referred to as the custodial parent. The other parent is the non-custodial parent. 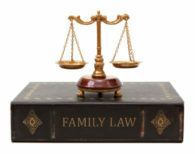 The court may award the non-custodial parent visitation rights, or parenting time. This means the non-custodial parent can spend quality time with the child during certain designated times. Depending on the court’s order, visitation may be supervised. These visitation rights will depend on what the court deems to be in the best interests of the child. Generally, Oregon courts favor granting some level of visitation rights to the non-custodial parent. However, this may not be the case if the parent has a history of committing domestic abuse. There was time when it was assumed that the mother would automatically get custody, but those days are behind us. Each parent is judged equally now and we will help you to make your case. There are many other issues involved in custody decisions and we will be honored to discuss them with you. Please know that even if you have made an agreement out of court after the custody order has been signed, it will not be viewed as legal. To alter the child custody order, a parent will have to file a motion requesting modification of the order. We will help you with that as well, should that be your present situation. Please do not hesitate to call us at 503.655.7555 so that we may answer your questions. We will work with you to achieve the best situation for you and your children. If you have any other questions or concerns that we may be able to help with, please do not hesitate and call us at 503.655.7555 or Contact Us here. We will be on your side from the beginning and all the way through.